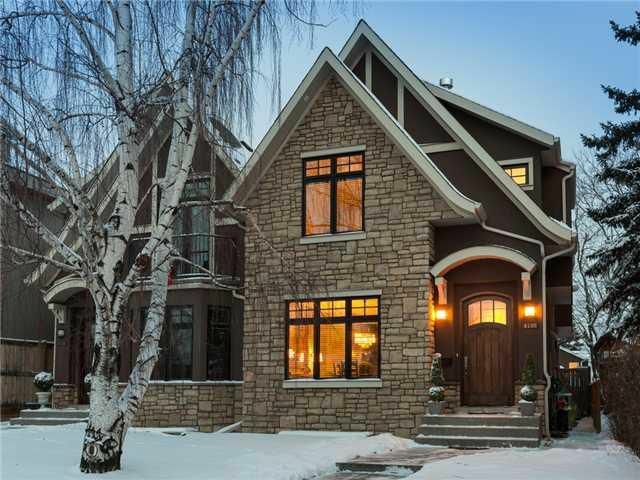 This elegant property offers high-end finishing w/ voluminous interior spaces, offering over 3245 sq.ft. developed. The basement extends 12.5' past the upper floor to create a massive Rec-room, easily one of the best infills out there! Main flr features an open plan w/tons of light flow, glamorous DR, mudroom & executive kitchen w/6 burner duel fuel range, custom cabinetry & an island made for entertaining. The LR is anchored by a cozy gas FP, extensive built-ins & French doors that open to the private yard. The master retreat features vaulted ceilings, dble sided FP, huge walk-in closet & a 5pc En-suite w/ jetted tub & steam. 2 add bdrms, full bath & laundry are also upstairs. The lower level includes the 4th bdrm, home office, full bath, in flr heat, enormous Rec room w/bar, wine cellar & 3rd gas FP. 4 Egress windows in the basement make it exceptionally bright. Surrounded by great schools, parks & amenities. too many upgrades to list, this home is a MUST SEE!